When I was a little girl, I was always sporty. I dreamed of becoming an Olympic champion. I would excel at my sport, and my superhuman body, competing with the finest on earth, would carry me to a gleaming chest of medals. When reality asserted itself in my teens, and I realised that that wasn’t quite going to happen, I decided that if I wasn’t going to get there myself, then I wanted to help others, who did have the potential, to get there instead. From learning about techniques that would help athletes to become strong and protect themselves from injury, it was a short (but safe!) hop to becoming interested in exercises for injury recuperation – both of the accidental and post-operative sort. From there I became interested in the easing of pain more generally, across age and physical ability. Today, I am a fully-trained, specialist practitioner in all areas of physical improvement, whether augmenting abilities already there, or helping a person to recover from accidental or post-operative injury, or helping to inculcate the good practice that will allow a person to grow older with the minimum of pain. I use a variety of techniques in my work, and I hope you will explore this website to discover the full range. I should be delighted to help you to achieve your personal goal, whatever it may be and whatever your age or physical condition. It is what I do. It is my passion. With over 17 years of professional practise, I have a wide range of qualifications and experience in the Health and Fitness sector. 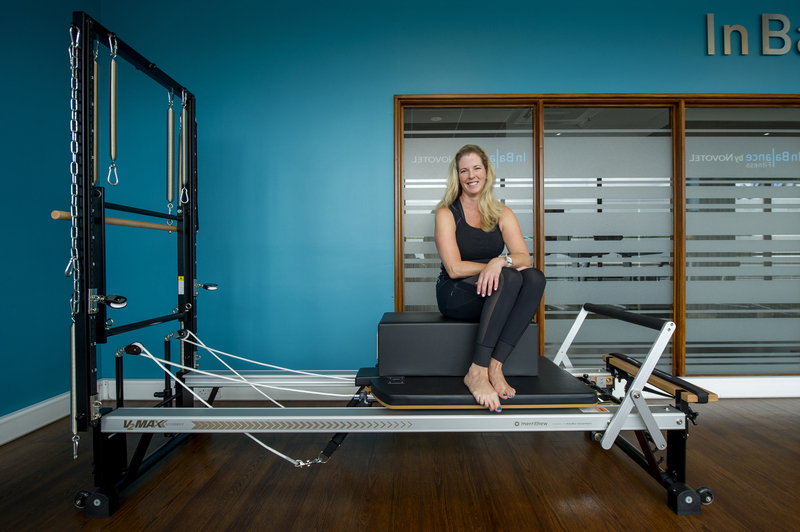 Depending on a client’s abilities and goals, I use a variety of exercise tools, from BOSU, rollers, the Swiss ball, wobble boards, elastics, weights, body-weight and of course Pilates. With my qualification in Biokinetics (literally: life movement, a South African concept), I have been fortunate enough to work with specialists, such as physiotherapists, doctors and orthopaedic surgeons. This intra-referral scheme has benefitted clients’ progress, enabling them to reach their goals much faster. I have worked with clients in a class setting and also with patients on a one-to-one basis; with children, geriatrics, and people with special needs. 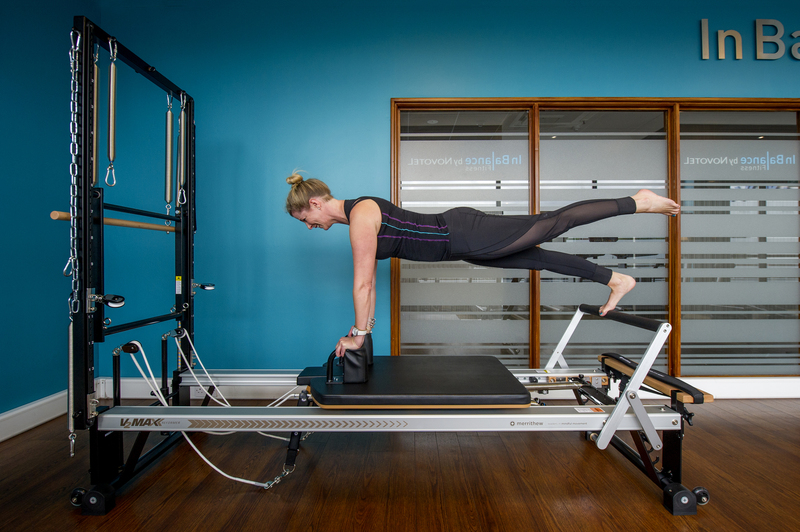 My area of expertise lies in designing appropriate exercise programmes to improve a client’s strength, flexibility, balance and posture, so that they can move freely in their daily lives. 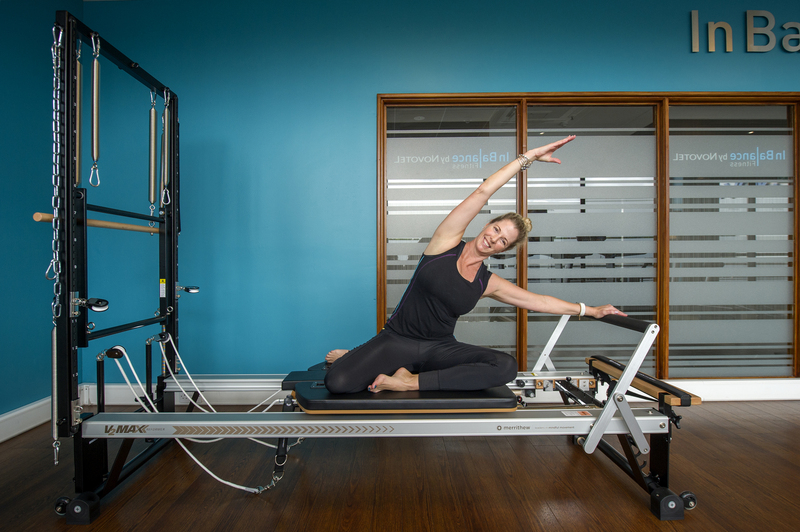 Whatever the goals or fitness levels, I am there to challenge my clients – and to give TLC when needed!